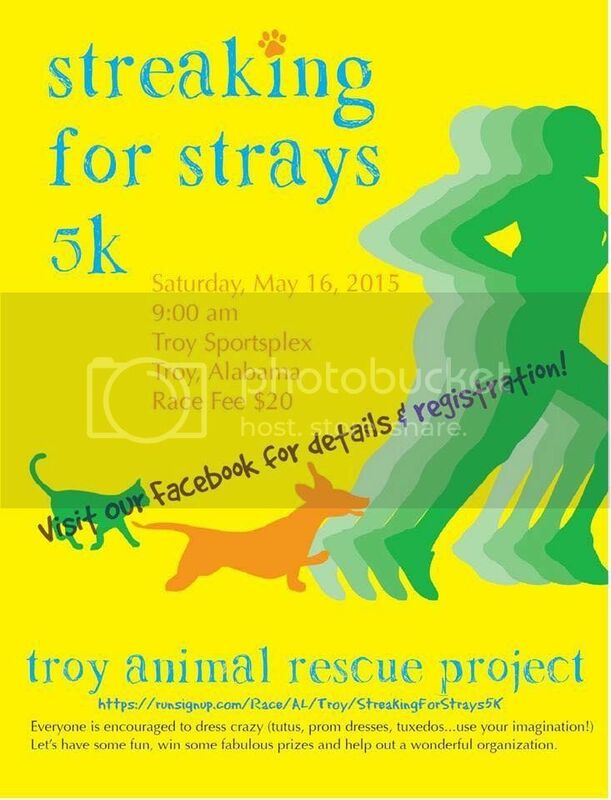 A 5K race fun for all ages. This Easter TARP is getting festive!! Celebrate with us Saturday, April 4th from 11 am - 3 pm on the square in Troy! We will have tons of festive baked goods available for donation$. This Saturday, February 28 from 11-3 PM Troy Animal Rescue Project will be Downtown Troy Alabama with a TON of animals available for adoption.